Novahobbies official 110g rebuild thread | Page 2 | Saltwaterfish.com Forums for Fish Lovers! I think anything above mag 10 should be able to handle it no? Bingo. Give that man a star! Seriously, I think the first "big" tank purchase is going to be an RODI. I'm tired of schlepping water, and after this current business with the Mag level of my LFS ( Over 1600ppm, and they say it's natural seawater.....SOMEthing's not right!) I think it's time to save a little time and dough and use a good quality RODI unit and salt. Cut me a hole tonight. Also cut the side pieces. I'll be nailing them in shortly. Tomorrow night I'll do some sanding, planing, and maybe taking a trip to HD to decide on trim. I'll probably just use s4s trimboard....it's what I used on the canopy, and it's not bad. Plain, but nice. Got some more done tonight. 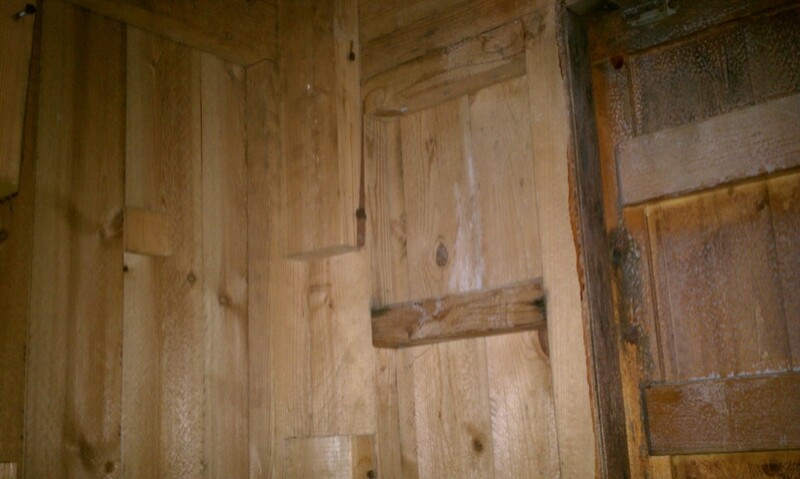 I finished demolishing the interior paneling, and took a good long look at the inside of the stand. Other than some old salt creep from my sump, I don't think there's much going on in here! I don't even think I need to shore it up....as I said, my father in law was an overengineer at heart. The opening for sump maintenance is nice a big. The current plan is still to use one piece to cover this, held on by clips at the bottom and magnets on the top. Last pic for the night. Gotta go clean up now. I put the columns on here just to remind myself of the height of the tank. Been thinking of lighting lately. I am VEEERY tempted to try a pair of 120w LED fixtures. I can get 90 degree optics on them to punch down into this deep tank, and the setup is made of 55 3w bulbs....all dimmable. At $180 per unit, the price is extremely reasonable, and the specs on the bulbs check out assuming I'm not being fibbed to. 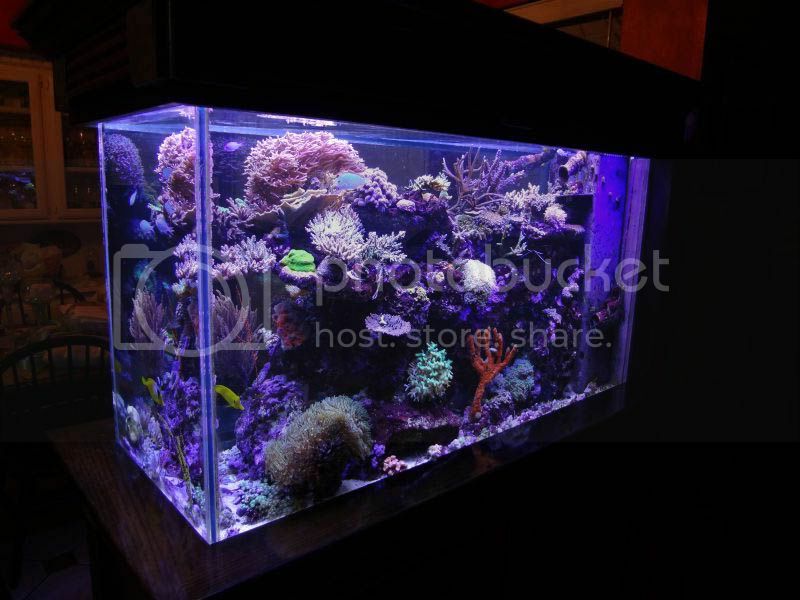 I think I'm going to buy one and test it out on my seahorse tank to start. 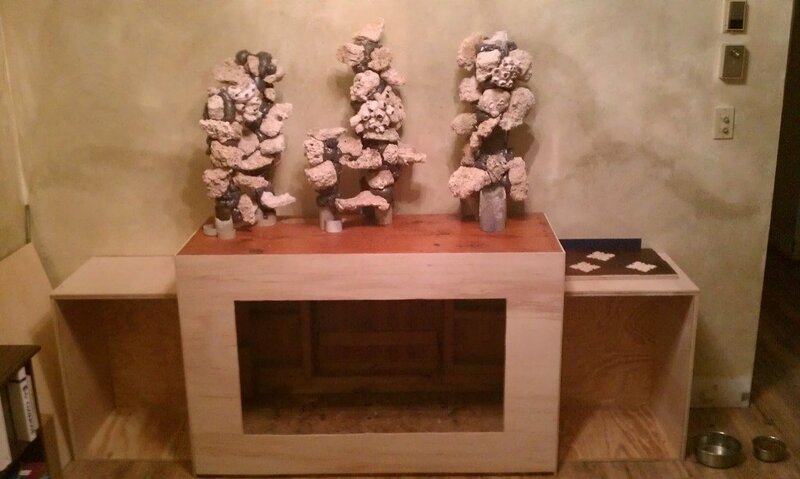 I want to make sure I can keep SPS corals and a clam. I've had an RBTA and it's beautiful but I don't know if I would bother with another, however I do want to make sure the lighting will be good enough for pretty much anything I want to add. Anyone have a PAR meter I could borrow?? I used to have a lux meter but I sold it four years ago. Else I would. I'll be watching to see how those LEDs do on your tank. I'm interested for my own too. I got a 110g show I'll be setting up soon too. By the way, I think a pic of this 110g might light a fire under yah to get it completed soon. That is inspirational! I especially like the peninsula style he has there. Nova - I just got my par tested out today. I found out the reason why my hydropora wasn't doing too well. He was stuck in a place with barely no lights... Replaced the actinic bulb with one more 10k and boom back in business. Very useful. I had a guy from my local reef place come and do it for me. When I get the first LED in place, can you ask him to come up north for a tiny bit for an evening of light testing? Both of you should come, some pizza and the cold beverage of your choice is in the offering! I think that might be what is wrong with my montipora, Sip! I have mostly actinics over my 20g... do you think I should replace the coral plus and the purple plus bulbs with daylights? nova - I will ask the dude but no promises yet. I only met him yesterday after all lol. seth - that may be it. I have 4 t5 fixture in the back of my tank with 3 of blue plus and purple plus and 1 10000k and it wasn't enough at all. My hydropora was suffering from it. How many actinic light bulbs you have in your fixture? how many bulbs do you have in total? Sip, don't you even worry about it. We're talking about something that's probably 2 months down the road! After reading a little more about it, I may consider scrounging the parts from a 216w t5 fixture and setting up two rows of t5s on either side of the lighting. I may have to design a sliding rig for the lighting. Time to brush up on my welding! I don't think ANYTHING's going to get done for another couple days. Going out of town for a pre-mother's day surprise visit this weekend. Need to get out of Dodge for a bit, relax by the river, get some bait wet with my brother, and do some honey-do's for mom. I just realized, I am NOT going to have fun staining this. Only place to stain is out on the back porch, which is (a) somewhat small, and (b) the cat haven, since their litter box is out there. Keeping inquisitive cats off the furniture while it's curing is going to be a serious challenge! Yeah, I think I'm just going to tell the cats to hold their bladders for a few days. Stain should just take 24 hours to cure. Then you need to sand and seal it and then gloss it if you want a true finish. Depending on the weather, you might have to add a little retarder to the sand and seal and gloss. 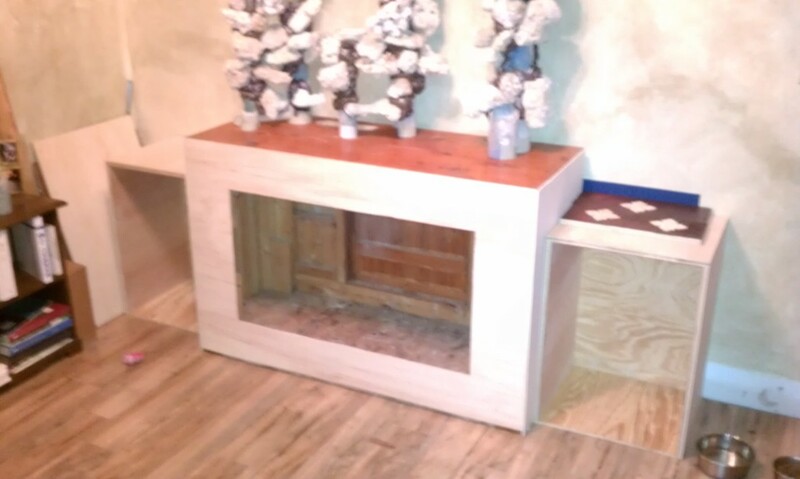 Don't forget to use steel wool and rub it down real good after the sand and seal dries. That will give you a nice smooth finish for the gloss. I think it's always best to seal it and gloss it - especially for our tanks. I am considering selling off my current stand if I can and building a new one for the 110g tall that I have. I really like the look of a nice dark walnut stain on oak plywood. Sweet build, Nova! Nice job with the rock work. I think my build is coming up on it's second anniversary pretty soon and it's still not 100% completed lol. That's ok, it's almost done and when it is I'll be really happy with it. It's not the destination but the journey that counts right? I haven't used any of the purpose made stain stripping products myself but they do make them and I'm sure you can find it at any local home improvement store. I've used other thinners and solvents for said purposes though that work just as good. 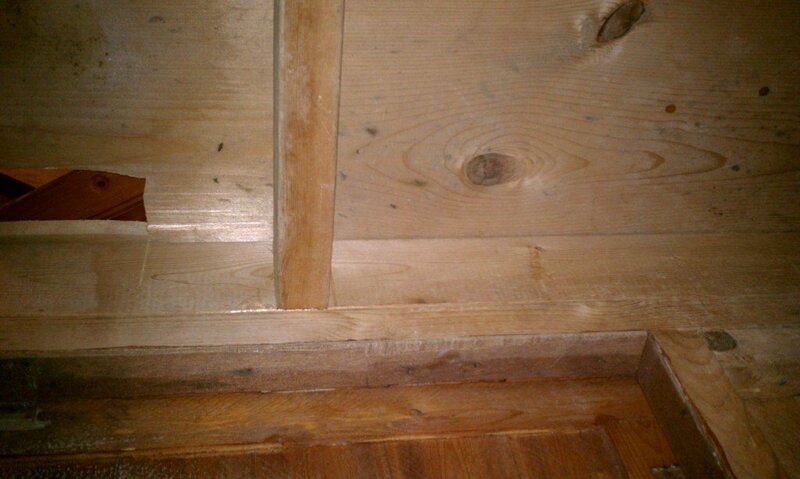 Epoxy or paint thinners, mineral spirits, some alcohols would probably strip some of the stain if you need to. Apply it, let it sit and rub it off. Then hit it with a good sanding using low then high grit paper. If you go with a darker stain it will be a lot easier to marry to cabinet with the canopy. Seth, I agree, and the cabinets are getting full coats of varnish. 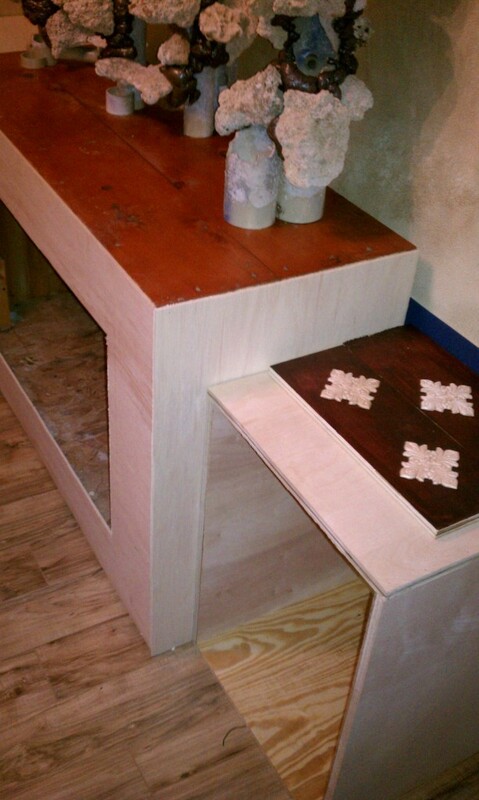 These are going to be long-term pieces of furniture, so I'm going to take the steps to make them as nice as possible. Cats are just going to have to get used to crap on the patio for a while. Corey, yes the new stain is signifigantly darker than the old stain, so I'm ahead of the game there...but I am going to take the canopy down as close to bare wood as possible to avoid it winding up darker than the rest of the furniture. Speaking of stain. I just spent the afternoon "up here" in central Florida staining the arbor I built my mom last year. A little high off of stain fumes right now. This was NOT the relaxing mini vacation I thought it was going to be, LOL.